Rep. Will Hurd, R-Texas, said that he expects his Modernizing Government Technology (MGT) Act to pass the Senate within the next week as an add-on to the Senate’s 2018 National Defense Authorization Act (NDAA) deliberations. “It’s going to be put on the NDAA of the Senate this week and it’s going to be put into law,” said Hurd at the Billington CyberSecurity Summit on Sept. 13. Though MGT passed the House with bipartisan support in May and was introduced on the Senate floor, the bill had yet to go through Senate Homeland Security and Government Affairs committee markup before Congress broke for summer session. Hurd said that the idea and support for the bill stemmed from a reaction to the poor way government currently purchases IT. 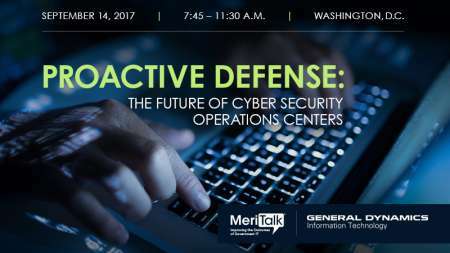 Join us on Sept. 14 at the City Club in D.C. to discuss how to advance Cyber Security Operations Centers’ operational capabilities, become more proactive, and improve agencies’ shared situational awareness in the new world of smart Infrastructure and IoT devices. Click here to learn more and register. According to a source familiar with the situation, MGT has not yet been officially added to the NDAA Manager’s Amendment due to last-minute edits. However, the window for adding to that amendment may not be completely closed, according to the source, and the bill still stands a shot of inclusion before final votes. Should the bill make it through this week’s NDAA deliberations, it stands a good chance of being signed into law, as the bill’s contents have received outspoken support from the administration. Schneider added that IT modernization is especially important for cybersecurity purposes, and lines up with goals in the May Cybersecurity Executive Order. Hurd explained that Russia is perfecting its electronic and cyber warfare capabilities in Eastern Ukriane and will likely turn those technologies against adversaries like the U.S.